Anarkali Marikar has just completed three movies with Prithviraj, Asif Ali and Appani Sarath. 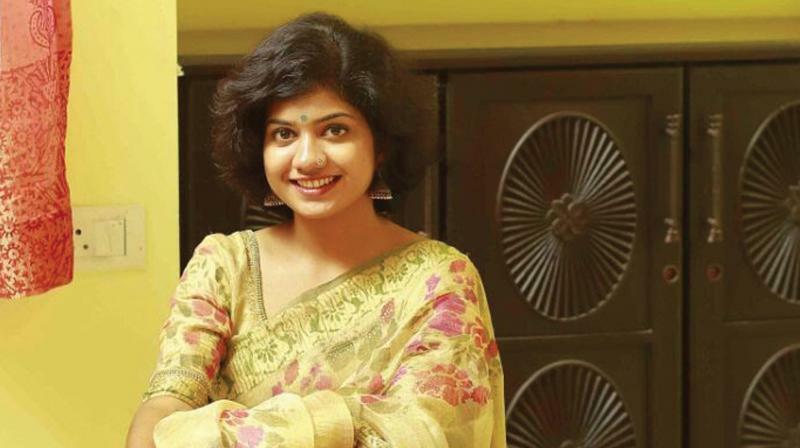 Anyone who has watched the 2016 blockbuster Aanandam would remember the introvert Darshana, the narrator of the movie. Anarkali Marikar, the girl who played the cute artist, was not seen much even as her co-debutants went on to sign movies after movies. “I hadn't gone anywhere,” says Anarkali, who has, without much fanfare, completed shooting three movies — an inspirational movie starring Prithviraj, a romantic drama with Asif Ali and a thriller with Appani Sarath. Unexpected delay in the making of the movies gives the feel there was a break in her career, she adds. In the upcoming Amala, she will play a deaf-mute girl, quite a challenge for a newbie. Unfazed, she did her homework and watched short films and documentaries to get into the skin of the naïve character. “I had to work on the mannerisms of the character in Amala, which is a thriller told in a chilling narrative. Also, I sport long hair in the movie. Hope people recognise me,” she laughs.. In all the movies, her looks are very different. Prithviraj-starrerVimaanam will see her in a modern look, whereas Mandaram shows her in a different avatar — of a bold girl, sporting spectacles and long hair — the love interest of Asif’s character. But things were different on the sets of Mandaram directed by Vijesh Vijay. The movie has her playing the bold, quick-tempered Devika. “I was tense at first, but Asif was very cool. He made me at ease and helped me well with suggestions. Soon, we became good friends and acting became easier,” says Anarkali who won't divulge anything about her role except that it is an interesting one. Amala directed by Safeer Thailan is a small movie with six characters based on the events that happen from one evening till the next morning. Her family — photographer dad Nias Marikar, homemaker mom Lali and sister Lakshmi — are all happy about her stardom. “In fact, movies happened because of my sister. Aanandam cinematographer Anend C. Chandran is her friend and it is through him that I bagged the role,” she says. And there is another filmy connection to the family. Lakshmi was a child actor once and has acted in seven to eight movies. The chubby little Anu, Mammootty's daughter in No.1 Snehatheeram Bangalore North, is all grown up to become an NGO worker with dreams to direct movies. So will Anarkali be seen in her sister’s directorial? The response was a giggle. “Her movies will be offbeat ones and mine are commercial ones. I don’t know; maybe, if we really feel like collaborating,” she laughs again.